Internet users grew from less than 1% of the global population 20 years ago, to 39% in 2014. 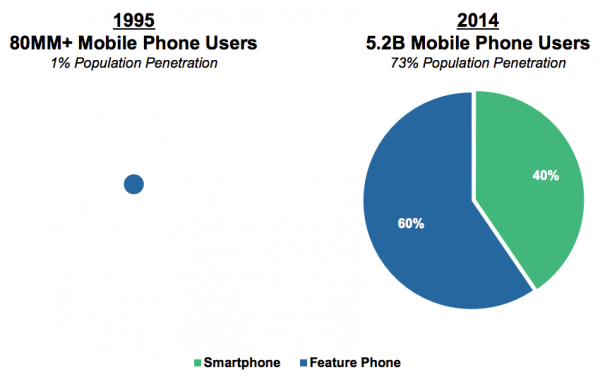 Mobile phone usage is even more dramatic – from 1% in 1995 to 73% in 2014! The biggest Internet companies today include: Apple, Google, Alibaba, Facebook, and Amazon. 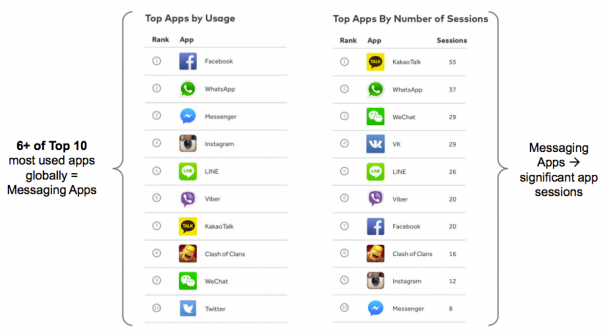 Top mobile applications by usage are messaging apps and include: Facebook, WhatsApp, Messenger, Instagram and LINE. Internet user growth and smartphone subscription growth are still strong year over year, but slowing down. Engagement and time spent with mobile media is growing but ad spend isn’t keeping up, leaving lots of inventory and opportunity. 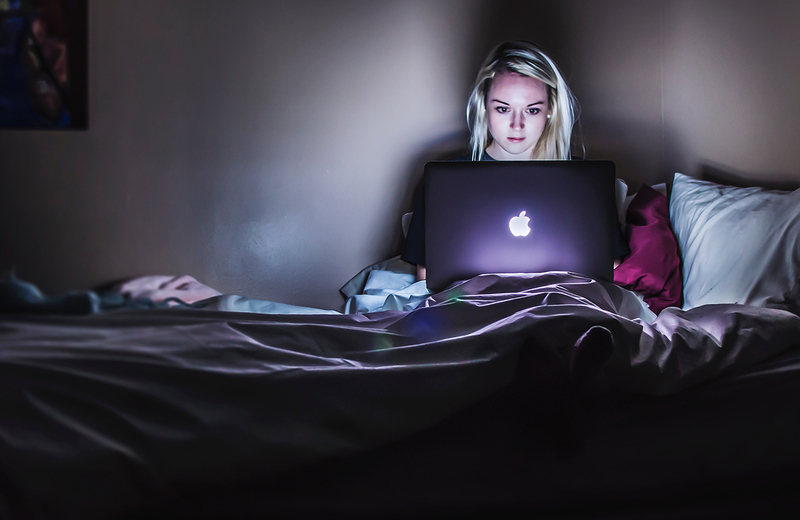 Video traffic is up with new screen size formats and viewability becoming a priority. 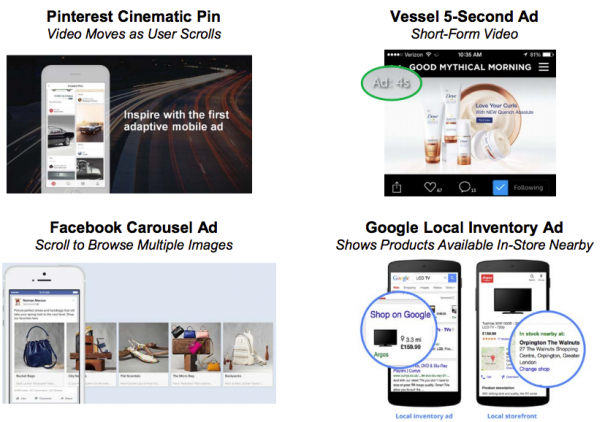 New fancy ad formats are making their appearance in 2015: Facebook Carousel Ad (scrolls through multiple images), Pinterest Cinematic Pin (video), Really-Short-Form Video (think 5-seconds), and Google Local Inventory Ad (products in nearby stores). The next big step for mobile: “Buy Buttons” as confirmed by Google, Pinterest and Instagram. 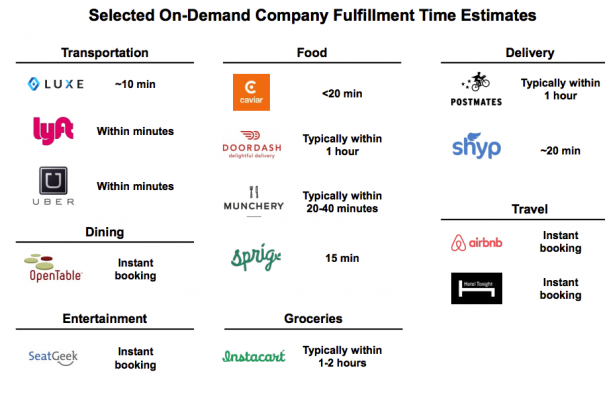 Content is now user-generated, surprising, and curated as social platforms and messaging services rule. “Just in time” information, products and services are now the rule with focus shifted to “micro-moments” (Google). China can now pass the Internet growth torch to India. 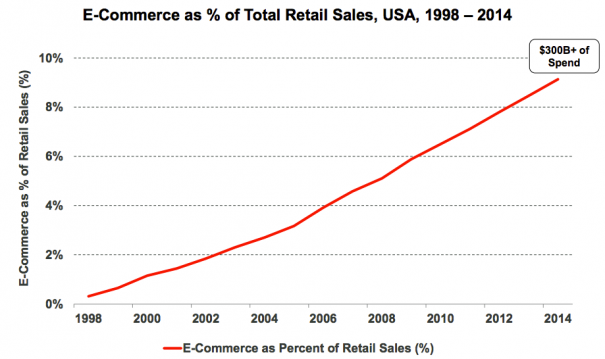 Commerce via the Internet is up dramatically, reaching 9% of total retail sales in 2014 vs. less than 1% in 1998.